MADINA Light Decoration House provides temporary decoration lighting, generators on rent and fresh flowers. 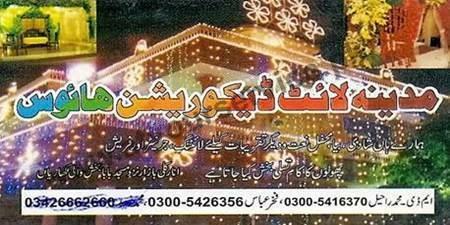 MADINA Light Decoration House is located in Anarkali Bazar, Kharian. It provides temporary decoration lighting, generators on rent and fresh flowers.